Canadian steel company holding materials which are needed to build the antenna on the new World Trade Center. ADF Steel, a Canadian steel company is holding materials “hostage” which are needed to build the antenna on the new World Trade Center for millions of dollars. The move puts hundreds of jobs and the building completion date in jeopardy, according to court papers. 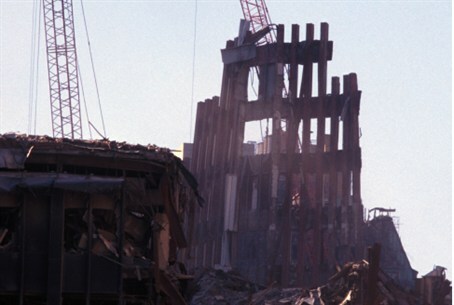 The Port Authority’s WTC 1 LLC says that the 1,776 floors of the tower cannot be built until ADF Steel ships the remaining materials needed for the project. The material was supposed to be shipped on September 24. The lawsuit is seeking a court order to force ADF to ship the material from its U.S. center in Plattsburgh, New York. In other news, imprisoned World Trade Center bomber, Ramzi Yousef, made an offer recently to cooperate with the feds. However, he backed out once a prosecutor showed up to engage him in an interview, according to court papers. The terrorist’s lawyer wanted to receive $23,000 for attempting to get Yousef’s jail terms eased. Manhattan federal judge, Kevin Duffy, says he learned of Yousef’s offer early in 2010 when lawyer, Bernard Kleinman, pushed for funding to be by Yousef’s side at the Supermax prison in Florence, Colorado.